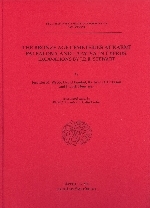 Astrom Editions AB - Karmi: The Bronze Age Cemeteries at Palealona and Lapatsa in Cyprus. Excavations by J.R.B Stewart. Karmi: The Bronze Age Cemeteries at Palealona and Lapatsa in Cyprus. Excavations by J.R.B Stewart. In 1961, shortly before his death, the late J.R. Stewart excavated two Early and Middle Bronze Age cemeteries near the village of Karmi on the north coast of Cyprus. This volume presents the results of this work, including full descriptions of the tombs together with detailed catalogues and illustrations of the rich array of pottery and other grave-goods.